Heated Leather Seats, 3rd Row Seat, iPod/MP3 Input, Onboard Communications System, Satellite Radio, WHEELS: 17 X 7 POLISHED ALUMINUM, TRANSMISSION: EFLITE SI-EVT. Hybrid Touring L trim, Granite Crystal Met. Clear Coat exterior. SEE MORE! KEY FEATURES INCLUDE Leather Seats, Third Row Seat, Quad Bucket Seats, Power Liftgate, Rear Air, Heated Driver Seat, Back-Up Camera, Satellite Radio, iPod/MP3 Input, Onboard Communications System, Remote Engine Start, Dual Zone A/C, Power Fourth Passenger Door, Heated Seats, Heated Leather Seats. Rear Spoiler, MP3 Player, Remote Trunk Release, Keyless Entry. OPTION PACKAGES WHEELS: 17 X 7 POLISHED ALUMINUM, TRANSMISSION: EFLITE SI-EVT (STD), ENGINE: 3.6L V6 HYBRID (STD). 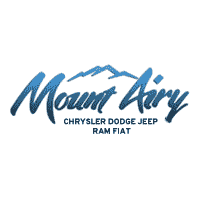 BUY FROM AN AWARD WINNING DEALER The staff at Mount Airy Chrysler Jeep Dodge is ready to help you purchase a new or used car in Mt Airy. When you visit our car dealership, expect the superior customer service that you deserve. With years of experience and training, our team will get you into the car, truck, or SUV that was built for you. Get the new or used car by Jeep, Dodge, Chrysler or RAM in Mt Airy that you have been dreaming of by calling or visiting our dealership today. Please confirm the accuracy of the included equipment by calling us prior to purchase.